The FotoForensics site can be a valuable tool in checking the authenticity of an image. It’s easy to alter images with software and try to fool people with them. FotoForensics uses a technique called Error Level Analysis (ELA) to identify suspicious areas and highlight them visually. Playing with it a bit shows me that it takes practice to know what you’re seeing, but it’s worth knowing about if you ever have suspicions about an image. 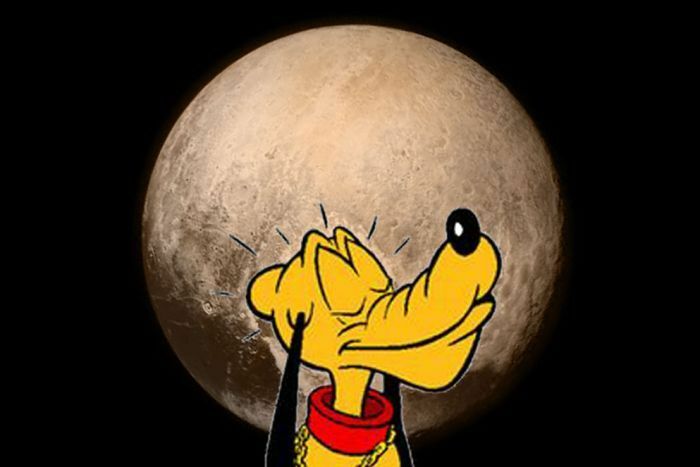 Let’s start with an obvious fake, the iconic New Horizons image of Pluto with the equally iconic Disney dog superimposed on it. The ELA analysis shows a light-colored boundary around most of the cartoon, and the interior has very dark patches. The edge of the dwarf planet has a relatively dim boundary. According to the ELA tutorial, “Similar edges should have similar brightness in the ELA result. All high-contrast edges should look similar to each other, and all low-contrast edges should look similar. With an original photo, low-contrast edges should be almost as bright as high-contrast edges.” So that’s a confirmation that the New Horizons picture has been subtly altered. Let’s compare that to an analysis of the unaltered image. The “heart” stands out as a dark spot on the ELA image, but its edges aren’t noticeably brighter than the edges of the planet’s (OK, “dwarf planet”) image. The tutorial says that “similar textures should have similar coloring under ELA. Areas with more surface detail, such as a close-up of a basketball, will likely have a higher ELA result than a smooth surface,” so it seems to make sense that the smooth heart (which is something like an ice plain) looks different. The general color effect seems to be what the tutorial calls “rainbowing,” described as “a visible separation between the luminance and chrominance channels as a blue/purple/red coloring.” It says this often indicates an Adobe product was used to save the image, but doesn’t tell us anything about whether the image has been altered. Let’s look now at the analysis of a picture from my camera. It has objects in sharp contrast with the background and a multicolored carpet pattern. The edges look uniformly light; the carpet shows a certain amount of rainbowing. If I had reason to be suspicious about the picture, I don’t know whether this would increase my confidence or not. If you looked at a lot of fakes and real pictures, you could probably start to tell after a while. The tutorial page on mistakes mentions some ways that people can misread the results. This could be a useful tool for people who manage images from uncertain sources. This entry was posted in commentary and tagged forensics, JPEG. Bookmark the permalink.